Description : Suitabel for: TRAILERS & TRUCKS. Note:Note:Products can be developed according to customer specifications with samples and/or drawings. We are one of leading exporters, who deal and exports range of parts for Indian model Motorcyle and Three wheelers. Our own product manufacturing is Engine Parts range like Engine valve, cam shaft, rocker arm, con rod, etc. Rest of whole range we procure from best vendors. Quality is at most concern at dee india and so our product has to pass through strict quality control system. Banking on our enriched industry experience, we are able to supply Cam Pin. We offer a wide assortment of premium quality somet rapier looms designed in compliance with the worldwide prevalent trends. 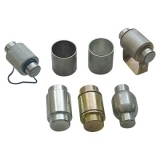 Engineered using finest quality raw material our array is extensively used in domestic and international market. Catering to the requirements of our clients, we are into offering Cam Roll Pin. Price Range : Rs. 4 to 9. 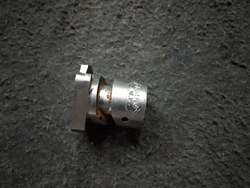 In order to meet excellent quality standards, we are supplying Cam P n.
In order to meet excellent quality standards, we are supplying Cam Roller Pin. We are amongst the most reputed names in the industry, offering Cam Pin.